Anna Nordqvist beat American Brittany Altomare in a playoff under driving rain and hail at the first extra hole to win the 2017 Evian Championship. EVIAN-LES-BAINS, France -- Anna Nordqvist has always been a tough cookie. A golfer unafraid to grind, gritty in adversity and undaunted by the stiffest of tasks. Her mom, dad and two brothers knew as much when she refused to be the worst player in the family as a youngster. Her grandfather knew, fueling her determination with email reminders never to give up. Her college coach Randy Lein knew, saying after she turned professional: "In all my years at Arizona State University I never saw a female athlete work harder." 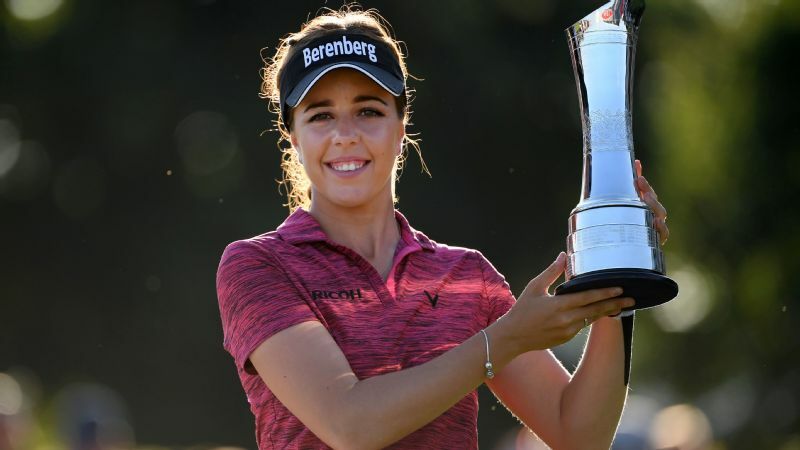 The LPGA membership knew after she claimed her first win, a major no less (the 2009 McDonald's LPGA Championship), on just her seventh start, having never once been in contention for a title at that level. Fans knew when she joined Twitter a year later and peppered her timeline with the likes of: "No shortcuts to success" and "The journey is what brings us happiness, not the destination." The Ladies European Tour knew when its website asked which virtue she considered the most overrated and she answered: "Talent." And if anyone did somehow forget what Anna Nordqvist is all about, the summer of 2017 reminded us. 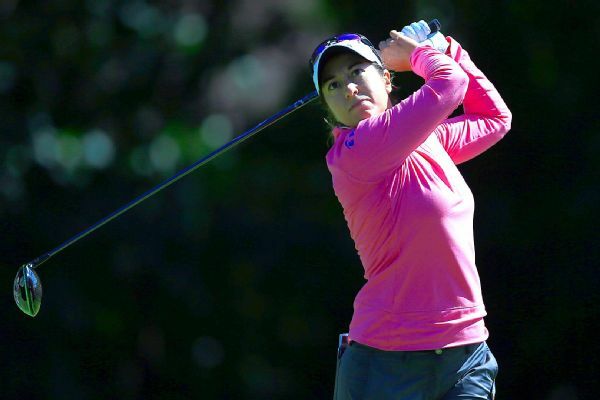 That tale began just prior to the U.S. Women's Open with a sore throat that refused to heal. "It was like knives stabbing down there for about 14 days," she said, shortly after being diagnosed with mononucleosis. "I fully understand the severity of it," she then wrote on Instagram. "And also the consequences it may bring when pushing too hard too early. I understand it can take weeks, up to months, to fully recover. But I also know it's different from person to person." That last line was effectively a declaration: I am NOT going to miss the Ricoh Women's British Open because of this and I am NOT going to miss the Solheim Cup either. At the first of those events she set a Thursday 4 a.m. alarm call, posted a first round 4-under 68 and finished the week tied for seventh. At the Solheim Cup, she was unbeaten, claiming three wins in the foursomes and fourballs before splitting a point with Lexi Thompson in probably the greatest Solheim match ever played. Most golfers would have been broken by the loss of a 4-up lead, her dominance dismantled as Thompson played the first seven holes of the back nine at 8-under. But Nordqvist? Suddenly 1-down playing the 18th, she hit her approach to concession range and secured the half. When faced with multiple challenges during the 2017 LPGA season, Nordqvist never gave up. It bears repeating: She achieved all this while suffering from an infection that leaves most people exhausted, defeated -- and in bed. Little wonder she then took a month off. Little wonder when she returned to action she missed the cut. Little wonder she featured in few previews for her next start, The Evian Championship. And little did anyone know that the summer of 2017 hadn't stopped testing Anna Nordqvist's resolve. In fact, it was barely even started. High wind and heavy rain forced the first round of 2017 Evian Championship to be delayed at 9 a.m., 35 minutes after Nordqvist had opened her challenge. By mid-afternoon, play had been called off for the day whereupon all scores were controversially wiped and the event rebooted as a 54-holer. The next day the Swede posted a 66, but a Saturday 72 left her outside the top 10. Early in the final round, she was seven behind leader Moriya Jutanugarn. Three birdies and an eagle-3 midway through the back nine turned her fortunes around just as the weather again turned nasty. Fatigue? Weariness? Mononucleosis? Like a particularly twisted joke, her steadfastness was only now about to face its toughest examination. At the time she said: "I'm from Sweden and even I was freezing." Ahead of her defense of the trophy this week she recalled: "I just tried to stay positive and keep fighting. That 18th hole used to be a par-5 and now they've made it a really hard par-4. It was very cold and windy, so with the tee way back, many girls couldn't actually reach it in two and if you did, you had either a hybrid or a 3-wood to the green." 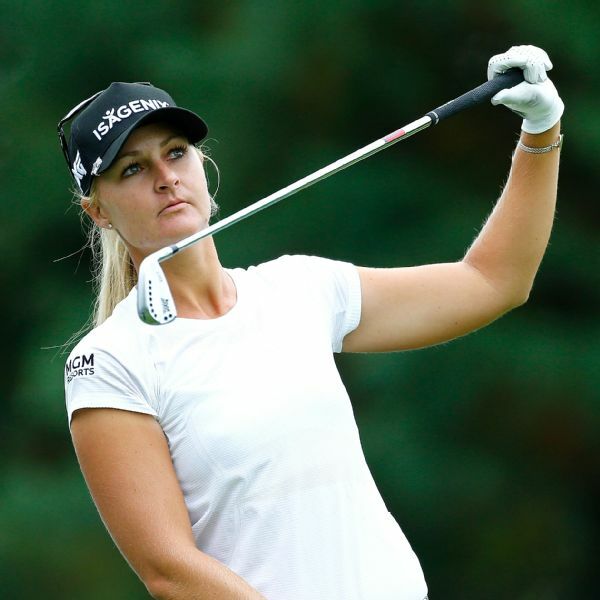 Having posted her total, Nordqvist sought comfort in the clubhouse. "Going to the range was never an option, it was so far away and I wanted to stay warm." Only Brittany Altomare equaled her score and returning to the 18th tee box Nordqvist admitted: "I was soaked before I even teed it up." The rain descended in almost comical fashion, sluicing down from gray skies, the Alpine scenery hidden behind a wall of water. All notions of that 18th being a par-4 had been ripped up, tossed away and were last seen sinking in Lake Geneva. "We both tried to lay up to a decent number [with our second shots], but I hit a 7-iron that just came out dead and went nowhere. It left me with 137 yards in." Suddenly the rain stopped, but there was no respite because it was replaced by small pellets of mountain ice, hurled in her face by a driving wind. "Yeah, it was hailing and we were all kind of shaking our heads. My shot would normally have been a 9-iron. Instead I hit a little 6-iron." Even that didn't find the water-logged green. It landed with a dull plop on wet mud. Altomare was having even greater difficulties and would eventually make double bogey. "I hit a fantastic chip shot to four feet, and it was just, well at that point I was just trying to stay warm. There weren't many emotions going through my head. I was just so cold and everything was wet. I'm used to bad conditions, but that was about the worst I've ever seen. "To win a major championship with a bogey is not great, but under those conditions it was probably one of the better bogeys I've had in my life." Virus stricken, chilled to the bone, dripping wet, never giving up. 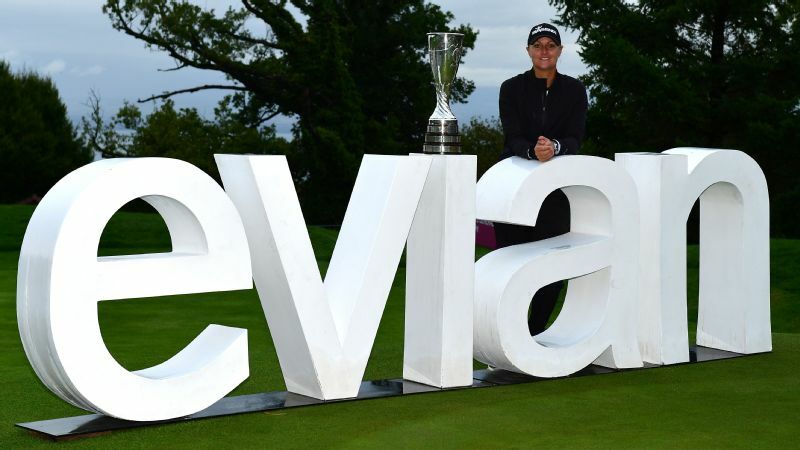 Twelve months on, she returns to Evian proud of her victory, healthier and with one wish: "I'm just hoping for a little bit better weather this year."